We have a very sick, young male gecko, about three months old. He stopped eating, barely walks, holds his up even when resting, doesn't really open his eyes. His temps on hot side stay around 32c and 25c on cool side. We can set dark splotch on his belly. He has been tiny and skinny since we've had him. But he's gotten dramatically worse these past two weeks. We finally get to see the vet tommorow. I've been bathing him with Pedialyte and water trying to get some droplets in his mouth. We lost his sister yesterday. He has a moist hiee, cool hide hot hide. I just ordered reptaid. I'm afraid it will be too late though. I don't think there's anything more you can do. It's important to take him to the vet even if he passes before the appointment. He needs to be tested for parasites and especially for cryptosporidiosis. If he's positive, this affects any other reptiles you may have as well as what you do with the items in his cage and the cage itself. I'm sorry you lost this leo's sister and that he's in bad shape. Like Aliza mentions, bring him to the vet right away even if he dies before you get there. Ask the vet how to keep him before you get there. Lab tests will give you valuable information. IF he and his sister passed away from Crypto, you may need to toss the enclosure and all the stuff. Eradicating Crypto is nearly impossible. In case it's Crypto, here are some informative links. Last edited by Elizabeth Freer; 03-21-2019 at 09:56 PM. Would he have had crypto right from the pet shop ? We have a bearded dragon here too. Hes healthy. Thank you for the replies. They are our first Leo's and I feel so helpless just watching them waste away. We see the vet 9 am tomorrow. And any idea why he is holding his head up like that? He's constantly positioned like this now. Your leo might be having trouble breathing since the black area (internal bleeding) has progressed so far. Yes, definitely! Both leos could have contracted Crypto from infected animals at the pet shop. That's one reason why respected independent breeders are frequently a safer source of pets. If he's Crypto positive, contact the pet shop right away! They may already know. Crypto is devastating to watch. Unfortunately, if it's crypto your beardie is also at risk. Last edited by Elizabeth Freer; 03-22-2019 at 08:15 AM. Thanks so much for sharing news about your vet visit. I sincerely hope that paromomycin helps Basil feel better. Quick couple of questions. So you think one bath a day or sufficient for him? And I have both repta boost and reptaid on the way. I'm thinking I should use the repta boost to get some "food* into him, and use the reptaid when he's "done" his medication? What do you think? Should I be adding supplements to the bug burger and Pedialyte slurry I'm syringe feeding him now? Like calcium and the calcium plus? Be aware that there is no cure for crypto, but this medication may help him feel better. Check the bug burger ingredients to see if the supplements are in there already. You could try adding some calcium plus to the pedialyte every other feeding. I will tell you honestly that the geckos I had that died from crypto did not survive once they started looking like yours, though I also did not medicate. I hope things go well. Keep your gecko as far away from your beardies as you can. Wash your hands well with soap and hot water after you tend to your gecko. 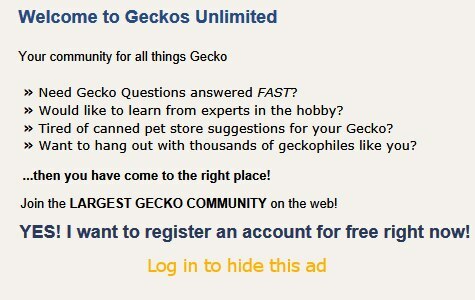 If you bought the gecko from a big box pet store, there's probably no point in telling them that the gecko has crypto. If it was a small reptile store it's worth it to tell them. Especially if it's a big chain reptile store, don't ever buy another live reptile from them ever again. Read the links Elizabeth sent you about disinfecting. While the cage furniture should probably be tossed, there are ways to disinfect a glass enclosure.